The Professional Regulation Commission (PRC) on Friday officially released the results of July 2015 Psychometrician board exam. Van Alistair Hornillos Faeldon, a graduate of University of Santo Tomas (UST) topped the board with 84.20 percent grade. 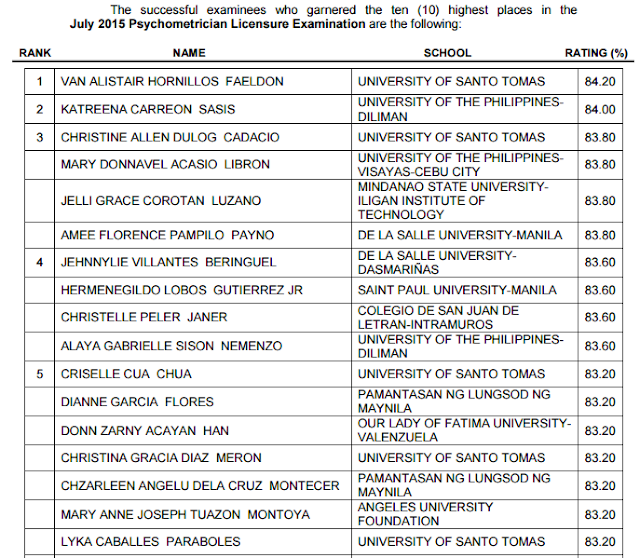 University of the Philippines - Diliman (UPD) alumna Katreena Carreon Sasis placed second with 84.00 average grade.